Get a 888 Hallo Win bonus this October and get freeplay bonuses for selected 888 Casino Games. Players can choose either Trick or Treat to get up to 100% their deposited amount in 888 Casino freeplay. 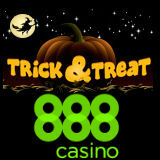 The 888 Casino Halloween promotion runs until 1st November and players can use the promotion codes up to ten times. 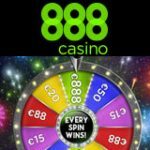 Claim your 888 Hallo Win freeplay bonus and play any of the following 888casino games: Nightmare on Elm Street, Snack Time, Millionaire Genie, Once Upon a Dime and Bloodlines. There is also an 888 Poker Halloween promotion running where players can win their share of $100,000 in prize pools in the Hallo-Win Series on 888poker. Get up to 100% your deposited amount in freeplay bonuses by participating in the 888 Hallo Win promotion on 888casino. 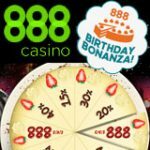 Players must choose from one of two bonus offers by depositing with the 888 casino promotion codes. Players can get up to £/€/$1,000 in 888casino freeplay bonuses to play a selection of five jackpot or horror themed slot games. Select your promo code by choosing a stable 40% freeplay bonus or take a chance to win up to 100% freeplay see below for more details. Use 888 Casino promotion code TREAT for 40% of your deposited amount as a freeplay bonus of up to £/€/$100. 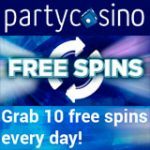 Use 888 Casino promotion code TRICK for a random 10-100% of your deposited amount as a freeplay bonus of up to £/€/$100. Enter the 888 promo codes on the deposit screen when making a deposit. Players are required to wager their deposited amount three times before the freeplay bonus is issued. Players can use their 888 Hallo Win freeplay bonus to play and switch between any of the following 888 casino slots: Nightmare on Elm Street, Snack Time, Millionaire Genie, Once Upon a Dime and Bloodlines. The freeplay bonuses can be claimed up to ten times using either 888 promo codes during the promotional dates with no daily limit until the 1st November, 2014. Once completing the requirements, freeplay bonuses are granted within 72 hours. Players can only win a maximum amount equal to the value of the freeplay bonus unless the jackpot is hit. The 888 Poker Hallo-Win Series is also running with a daily $5,000 Hallo-WIN tournament between 22nd - 29th October and a $20,000 Hallo-WIN Freakish Finale on 31st October. 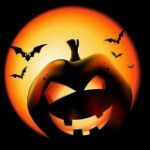 All players new and old get free tournament tickets for the daily freeroll where the top 1000 players qualify for a tournament tickets to the Finale on Halloween. 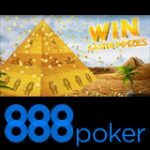 For more information see - Hallo-Win Series 888Poker.